The order by Directorate General of Civil Aviation is in line with the advisories issued by Boeing and US watchdog Federal Aviation Administration following the Lion Air plane crash on October 29 which killed everyone on board. The DGCA has asked Jet Airways and SpiceJet to check and correct possible sensor-related issues in the Boeing 737 MAX planes in their fleet which could cause the aircraft to lose altitude significantly. The directive from the civil aviation regulator has come after a fatal air crash involving a Boeing 737 MAX 8 aircraft operated by Indonesian Lion Air caused due to similar issues last month. The order by Directorate General of Civil Aviation (DGCA) is in line with the advisories issued by Boeing and US watchdog Federal Aviation Administration (FAA) following the Lion Air plane crash on October 29 which killed all 189 passengers and flight crew on board. Based on initial investigation of the accident, the FAA issued Emergency Airworthiness Directive (AD) on November 7. On November 6, Boeing said it had issued an Operations Manual Bulletin (OMB) directing operators to existing flight crew procedures to address circumstances where there is erroneous input from an AOA sensor. "Both the documents address erroneous high 'angle of attack' (AOA) sensor input and corrective action for the same as it has potential for repeated nose-down trim commands of horizontal stabiliser," a senior DGCA official told PTI. If left unchecked, the sensor-related problem could lead to flight crew facing difficulty in controlling the aircraft. The condition can even lead to "excessive nose-down attitude, significant altitude loss, and possible impact with terrain," the DGCA official said. Within three days after receiving FAA AD, the airplane flight manual has been changed for procedures which have to be followed by flight crew, the report said. As of now, Jet Airways and SpiceJet are the only carriers flying Boeing 737 MAX planes in India, and have six such aircraft in their both fleets put together, said a PTI report. 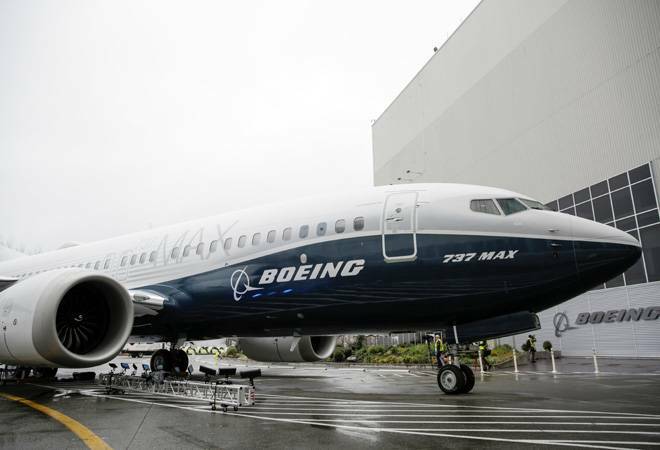 Together, both airlines have placed orders for more than 400 Boeing 737 MAX planes, the report further said. The DGCA had reviewed the Boeing 737 MAX planes with Jet Airways and SpiceJet on October 30 for issues related to engine and other parts, a day after the Lion Air plane crash happened. Also, the regulator had reportedly sought details about the plane crash from Boeing and FAA.